Its the start of a new month! So, that means there is a new challenge over on Catherine & Cathy Create. This month's challenge is "Starlight, Starbright" meaning use a star. I'll be honest, when I first saw this challenge my thoughts were "What in the world am I going to do?!?!?" I have no stars in my collection of stamping supplies - no punches, no stamps, no patterned paper. 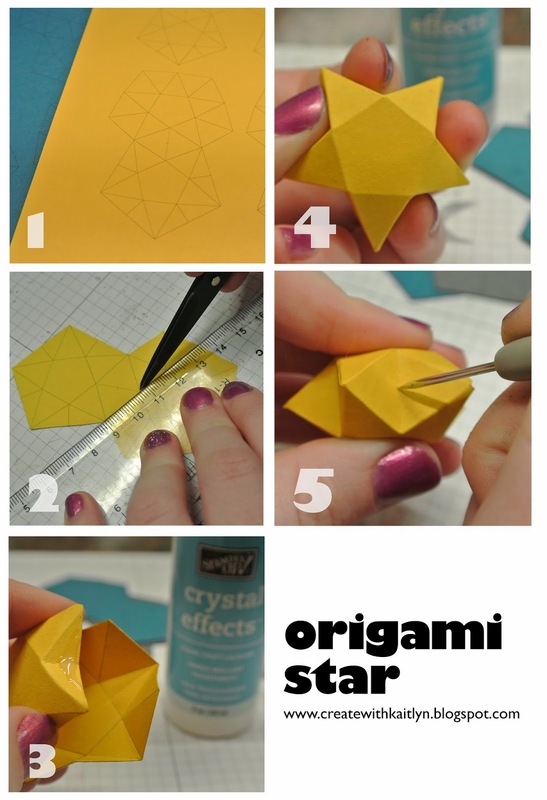 Thank goodness Pinterest came to the rescue, and I found a great pin on how to make origami stars. I just thought that these stars were so cute! They definitely called for a 3D project instead of a card or scrapbook, so I decided jazz up a frame. I think this would make a great graduation gift or just something to sit on your desk to keep you inspired. While I still have a traditional yellow star, Crushed Curry, I mixed it up by adding in Island Indigo, Silver, and both Basic Gray and Smoky Slate. 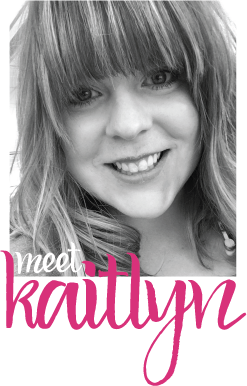 Print the template (which you can find here) onto the card stock of your choice. For the Silver Foil Sheets, I printed the template on regular printer paper and adhered it to the back. Cut out and score your stars. The best way to score the stars is to just use a ruler and Paper Snips. Other scoring tools didn't get the points as crisp. 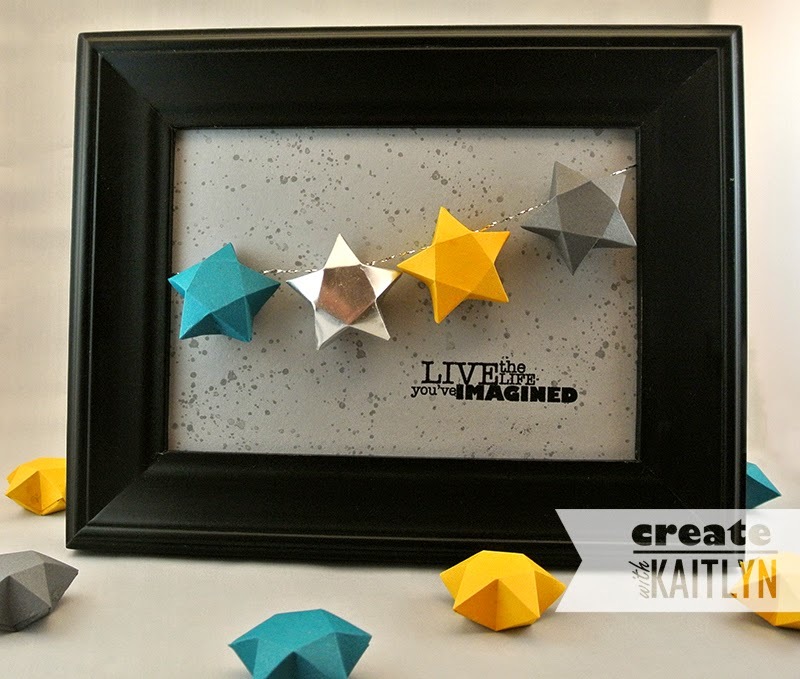 Fold up your star and adhere it together using Crystal Effects. I tried some other adhesives, and Crystal Effects worked the best. Hold the star together for a few seconds as the Crystal Effects starts to dry. It doesn't take as long for it to begin to hold as you would expect. If you are stinging the stars, poke holes in them using your Paper-Piercing Tool. That's it! Not too bad, but it does take some time to make multiples. The silver thread that I strung the stars along is from the Silver Baker's Twine. I just took the silver off of three pieces of twine and knotted the ends together. 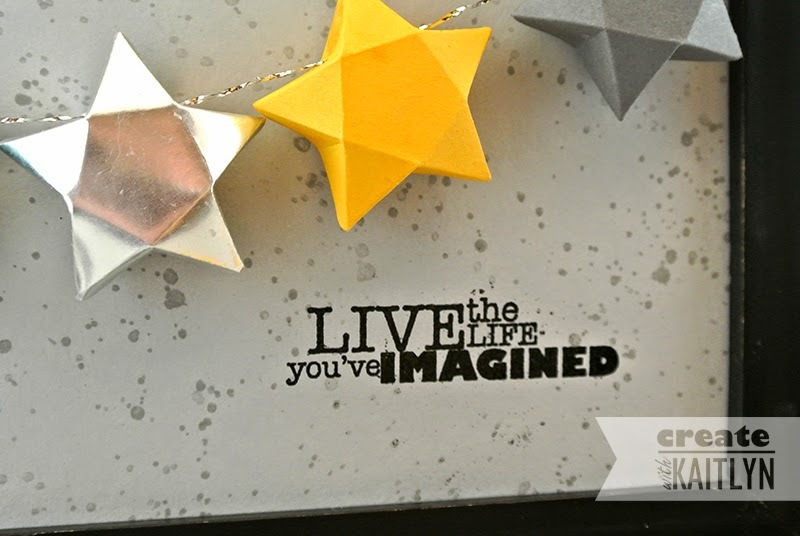 I stamped the Smoky Slate background with the splatter image from Gorgeous Grunge to give the idea stars in the sky. I wanted a sentiment that fit with a "reaching for the stars" theme, and this one from Really Good Greetings was perfect! I heat embossed it in Basic Black Embossing Powder to make it pop a little more than just stamping it in black ink. 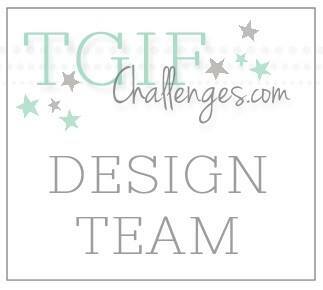 Be sure to head on over to Catherine & Cathy Create to join the challenge!